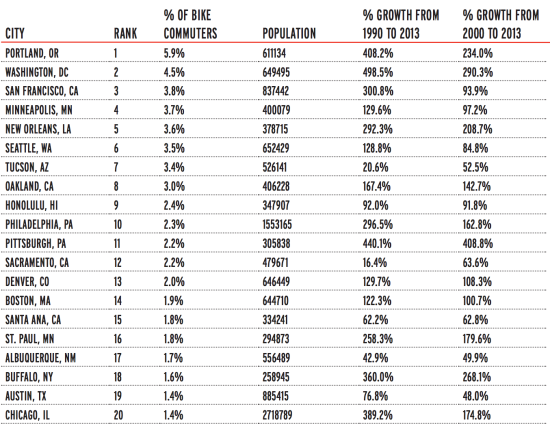 Portland still dominates the American Community Survey ranking the 70 largest cities with the highest share of bike commuters, but the list shakes up some preconceptions when you count which cities had the largest growth in the share of bicycle commuters from 2000 to 2013. The League of American Bicyclists runs the numbers every year, pulling data from the U.S. Census Bureau’s American Community Survey. This year’s bike culture report card, as it were, has Portland, Washington, San Francisco, Minneapolis, and New Orleans topping its list of bicycle commuters as a percentage of total population. In total 13 cities report more than 2 percent of their population biking to and from work. 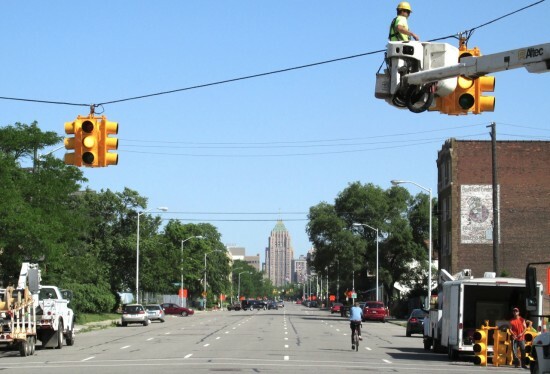 The League of American Bicyclists pulled data from the U.S. Census bureau.